ATLANTA, GA—US Airways announced Tuesday that they will be installing deep fat fryers in airplanes to accommodate passengers’ healthy appetites. Representatives said that food consumption has decreased significantly since airlines began charging for in-flight meals. 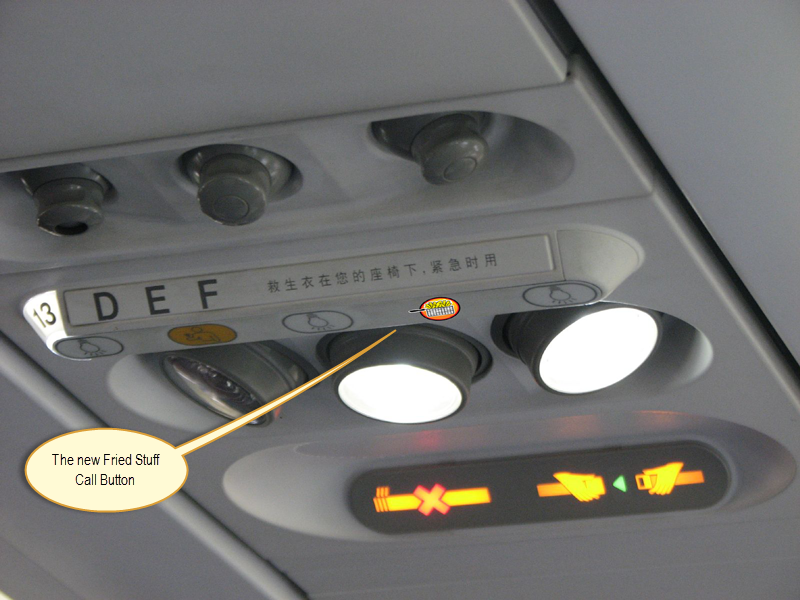 Customers worried that having open vats of hot oil sloshing about the plane might be a safety issue. This past March two flight attendants were burned during trial runs when their plane hit unexpected turbulence. “We’ve corrected the problem and can assure our customers that the deep fryers are safe. Unless there’s a crash there shouldn’t be anything to worry about,” officials said. Customers also worried about the fumes and smell from hot oil and fried foods. “I don’t want to show up to a business meeting smelling like fried hot wings,” exclaimed one flabbergasted passenger. 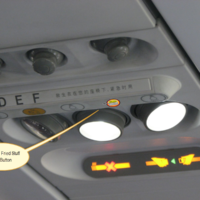 The change in menu and associated controversy is nothing new for the airline industry. The new menus will be available late this summer and include french fries, hot wings, deep-fried fillet of fish, fried cheese sticks, and fried corn dogs for children. Fried Oreo cookies will be available for dessert and fried Coke will be added to the drink cart menu. Costs for the fried treats will be less than current prices on boxed lunches and dinners, according to airline officials. Several other airlines are already planning their own fried food program.